do you miss feeling connected? sometimes i do, too. and when i do, i try to make an extra effort to reach out to people and say hello. one way i do that is by sending snail mail. it’s such a simple thing to do – write a short little note, throw in some confetti, seal it with a kiss, and toss it in the mailbox. 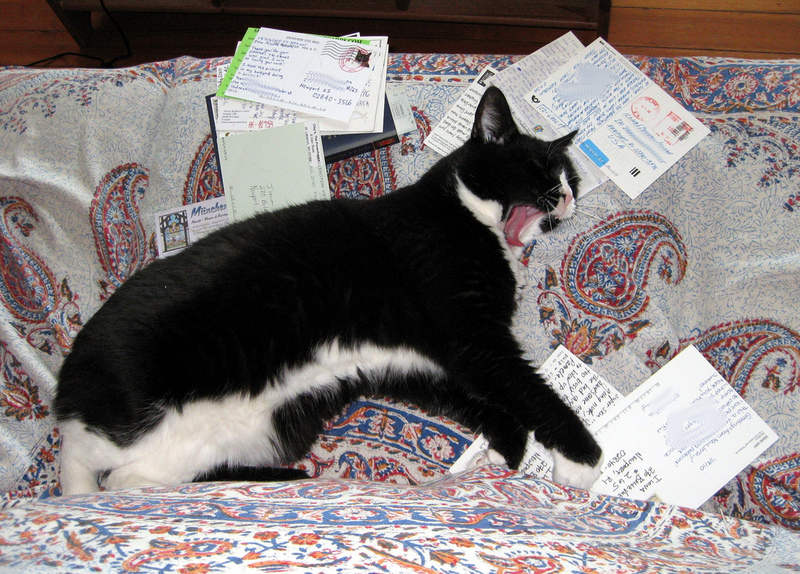 and i LOVE getting snail mail – it’s like a little present! so i decided this week that i would help y’all become better pen pals. today, i’m announcing today the release of ChronicBabe Pen Pal Kits! i am raiding my stationery collection and creating fun little packages from my stash. 3 Forever Stamps, to make sure you send your snail mail. these are good for mailing within the U.S. FOREVER, but don’t wait! the kits are for sale in my Etsy shop, and will be available until i run out of goodies. so these won’t last forever! for those who live outside the U.S., i offer kits that don’t include stamps, for a slightly lower price. you’ll have to get your own postage.